Once you've decided to invest in precious metals within an Individual Retirement Account (IRA) and/or rollover some of the funds from your existing retirement vehicle (i.e. – 401k or 403b) into a Gold IRA, your next step should be finding a reputable company to help you set up and stock your self-directed IRA with eligible bullion products. Unfortunately, many investors completely overlook the fees and charges associated with opening and owning a precious metals IRA. Other than the cost of the bullion itself, most of the cost associated with investing in a precious metals IRA comes from the IRA custodian entrusted with storing your IRA's gold in an approved depository. 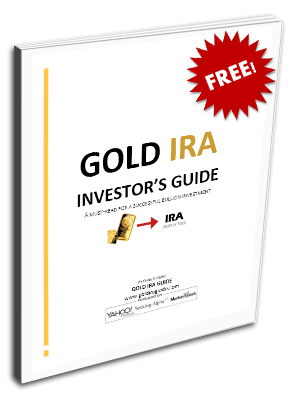 IRA custodians typically partner with bullion dealers, brokers, financial advisors/planners, and investment firms that help their clients open and fund precious metals IRAs. In some cases the dealer/broker will offer to waive the setup and storage fees charged by the IRA custodian, as is the case with Regal Assets offering to waive fees for clients who set up an IRA with their partnered custodian, Equity Institutional. Each custodian charges their own setup, storage, and admin fees. Some custodians charge a flat-rate annual fee (which stays the same regardless of the account value) while others charge sliding scale fees (which rise as the value of the account increases). The key to making a well-protected investment in precious metals is to thoroughly research every aspect, from ordering/delivery to long-term secure storage, possibly in an offshore location (depending on your preference as an investor). There are many options available to you as a retirement investor, but not all of them are profitable or safe. You have a requirement unto yourself as an investor to ensure that you're dealing with the most reputable and cost-effective custodians and bullion dealers when allocating an expert-recommended 5% – 20% of your retirement portfolio towards precious metals holdings. * Client has to choose their own depository. The first aspect you should consider when choosing a IRA custodian is whether they charge a flat-rate or sliding scale fee. You'll also want to know whether they charge setup and admin fees, all of which can increase the cost of opening and owning a precious metals IRA. We've highlighted the annual fee schedules and policies of each of the top 10 custodians within the reviews presented in the chart above. You'll notice in our top Gold IRA companies comparison we highlight ratings with the Better Business Bureau, Business Consumer Alliance, Trustlink, and other directories that we do not mention in the custodian reviews when discussing reputation. There is a very good reason for this – IRA custodians typically do not deal directly with “consumers,” so they do not have listings or ratings on most consumer complaint and review directories like Yelp, BBB, Yellow Pages, etc. Instead, they partner with brokers, dealers, and Gold IRA firms. Investors who have an account with Equity Institutional who opened that account through Regal Assets, then those investors would not be leaving a review for Equity Institutional (even though their IRA is in fact being held by Equity Institutional), they would be leaving a positive review for Regal Assets (more than 500 of which have been left on Trustlink alone). Therefore, the best way to examine a custodian's reputation is to determine how long they've been in business, how many accounts and clients they have, which Gold IRA companies they're partnered with, and other more traditional ways of verifying the credibility of a business. A good IRA custodian's website should be easy to navigate, professionally designed, and it should contain clear information regarding the company's fee structure, offerings, and the management staff. A great example of this is the website of Equity Institutional, 2017's #1 IRA custodian. Their site is aesthetically pleasing and provides easy access to information about the company's history, management, and fee policies. Finally, custodians usually partner with bullion dealers, brokers, financial planners/advisors, and investment firms to give their clients a way to directly invest in precious metals within an IRA. As such, some brokers and Gold IRA companies will offer to waive custodian fees if you setup an account through them. For example, Regal Assets, who is partnered with Equity Institutional, offers to waive setup and storage fees for up to 3 years depending on the account value, and will only charge a low flat-rate annual fee after that. Equity Institutional would usually charge a setup fee of $50 and an annual storage fee of $150. Thus, your wisest move as an investor may be to set up an account with a custodian through one of their partnered Gold IRA companies, in order to avoid unnecessary hassle and fees when opening and stocking your self-directed precious metals IRA. Equity Institutional has nearly 4 decades of experience in the self-directed IRA industry. Aside from their longstanding reputation as an industry-leading IRA custodian, they also offer the lowest flat-rate fees for setting up and maintaining a precious metals IRAs. To learn more about why we've given Equity Institutional the top spot on this year's list, see the full Equity Institutional review, or see the full review of Regal Assets, their industry-leading partner in Gold IRAs.